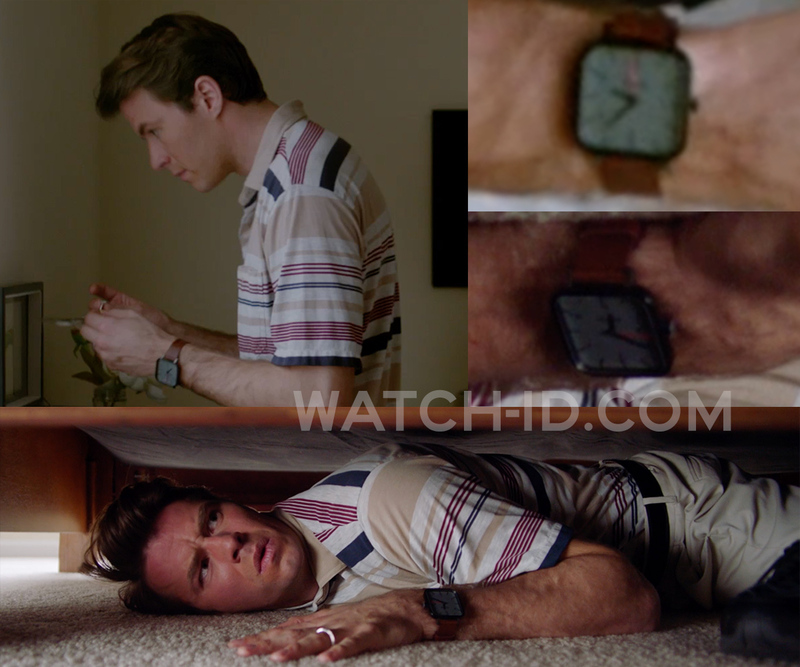 Thomas Cocquerel wears a Nixon Ragnar watch in the movie The Divorce Party (2019). 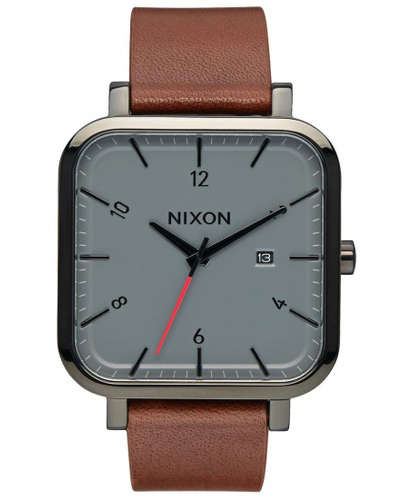 The Nixon Ragnar ref. A939-017-00 watch in the film has a very thin, square black case and stitchless Horween leather band, a charcoal grey dial with black markings and a red seconds hand. It features a small date window at the 3 o'clock position. This exact same watch (black with grey dial, regular price €230 or $225) is actually quite hard to find, but sometimes available on eBay or Amazon. Thomas Cocquerel plays Nate, a recently dumped divorcee in his late-twenties sets out to plan a wedding-sized divorced party in an attempt to get his life back on track.